There is a lot to do in Wayne County on Friday and Saturday, June 1-2. 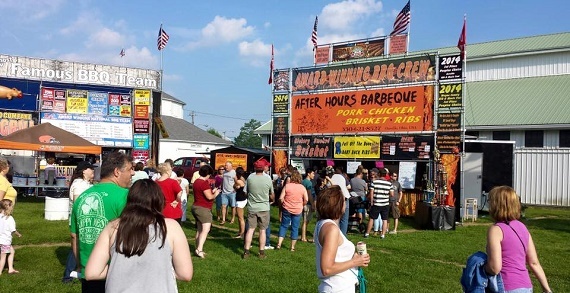 The 5th Annual Music and Rib Fest kicks off at 4pm on Friday with fun for adults and children at the Wayne County Fairgrounds located at 199 Vanover Street in Wooster. There will be music and entertainment both days including a back yard BBQ and a cruise-in car show. For the little ones, there will be a Hog Wild Fun Zone that will include inflatables, water tag teams, cozy coupe races and more. Tickets are available for the Brian Howe concert Saturday night. 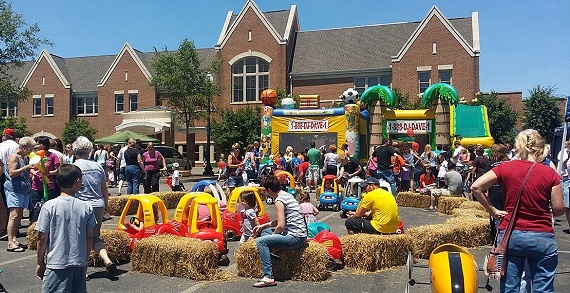 Before or after the Rib Fest, head over to the Wayne County Library, located at 200 West Liberty Street, in Downtown Wooster for Kids’ Day, from 1-4PM. Kids’ Day celebrates the end of the school year and the beginning of summer. Enjoy face painting, crafts, bounce houses, an obstacle course, therapy dogs, a hockey shoot, finger printing kits, Soap Box Derby cars and LOTS more. All FREE! Plan your stay now! Hotels will fill up fast, so book ahead! For visitor information visit www.wccvb.com, Kids' Day visit www.mainstreetwooster.com and for the Rib Fest www.waynecountyfairohio.com/ribfest. Come wander the wonders of Wayne County! Wayne County’s serene charms and convenient location make it the perfect escape. The rural charm of Wayne County's rolling hills, lush woods, and scenic farmland is only the beginning of the offerings available. An abundance of cultural activities and events make Wayne County a great destination any time of the year. There are lots of fun things for kids to do in Wayne County. Here are just a few things happening from now through September: Watch cowboys compete in timed shooting matches on horseback, go to the Whiz Bang! Science Show at Secrest Arboretum, attend a rodeo, watch fireworks, attend festivals, see the Amish at Kidron’s livestock auctions, slide down at Corn Crib Chute and you definitely won’t want to miss the Wayne County Fair, Ohio’s foremost agricultural fair! The Wayne County CVB invites your family to come wander the wonders of Wayne County. In the summer, enjoy strolling through Secrest Arboretum and attend the Whiz Bang! Science Show; visit The Wilderness Center’s Wildlife Observation Room, Planetarium and Nature Store; or attend a performance at the Ohio Light Opera. September brings the Wayne County Fair, Ohio’s foremost agricultural fair. You can also attend Apple Festival Days at Bauman Orchards, navigate the giant corn mazes at Ramseyer Farms or go to the Colonial Williamsburg Festival at the Pine Tree Barn & farm. As the weather gets colder, check out the Buckeye Book Fair, meet Casper at the Cat’s Meow Village Holiday Open House and take Train Rides with Santa. There is the Greater Wayne County Train and Toy Show in the Winter and Spring. Spring is also a good time to attend the Earth Day Celebration or go on a Guided Bird Walk. There is so much more to do and see. No matter what time of year you come, you’ll find there’s always a wonder to wander!